What leads up to that first luxurious gulp of oyster? From purchasing to storing to shucking and serving, here’s how to create an oyster experience that engages all the senses. Every oyster has its own beauty. Putting half shells in the spotlight can be one mark of an oyster program done right. 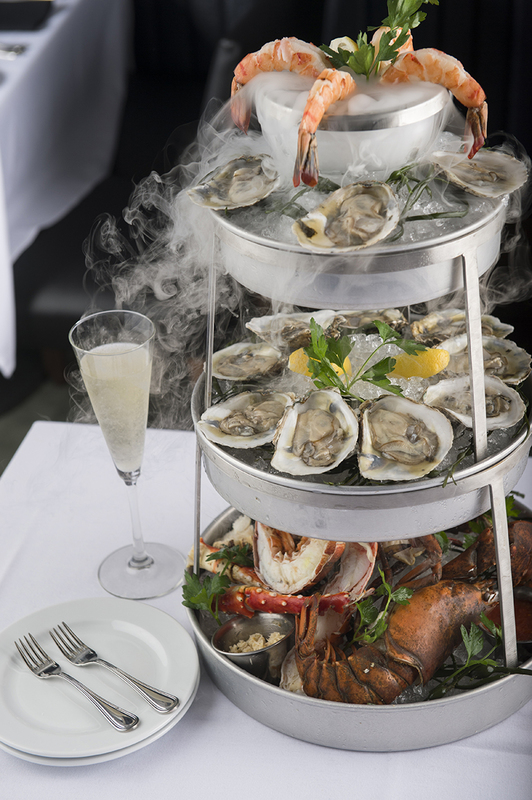 The seafood tower at Ocean Prime Boston, part of a 14-unit chain of upscale seafood restaurants by Cameron Mitchell, tends to turn heads when delivered to the table. The tower — which includes oysters on the half shell, as well as other seafood — is draped in bright green seaweed and billowing with puffs of smoke, thanks to pellets of dry ice and a last-second splash of water. The right kind of ice is key for serving oysters, whether on something elaborate like the tower or a simple platter with a drain to keep the presentation from getting waterlogged. At Ocean Prime, one ice machine is dedicated to oysters, producing ice that’s perfectly flaked. The setting is part of the presentation at Merroir in Topping, Va., the site of the Chesapeake Bay oyster farm and the location that started it all for the Rappahannock Oyster Co.’s group of restaurants. Brothers Travis and Ryan Croxton’s growing oyster restaurant empire began on the scenic plot of land and sea where they revived their grandfather’s oyster company — and, some would say, the Chesapeake Bay’s whole oyster farming industry by bringing the latest advances in aquaculture to the area. 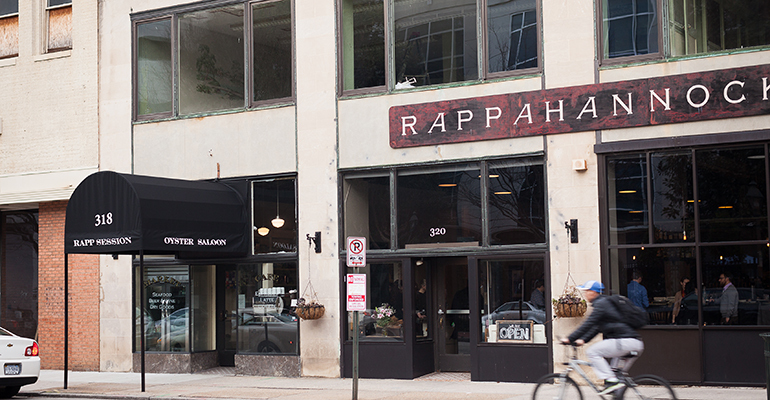 The Croxton brothers have two locations in Richmond, Va., including Rappahannock restaurant and Rapp Session oyster saloon; as well as oyster bar locations in Washington, D.C., Charleston, S.C., and another slated to open in Los Angeles in September. 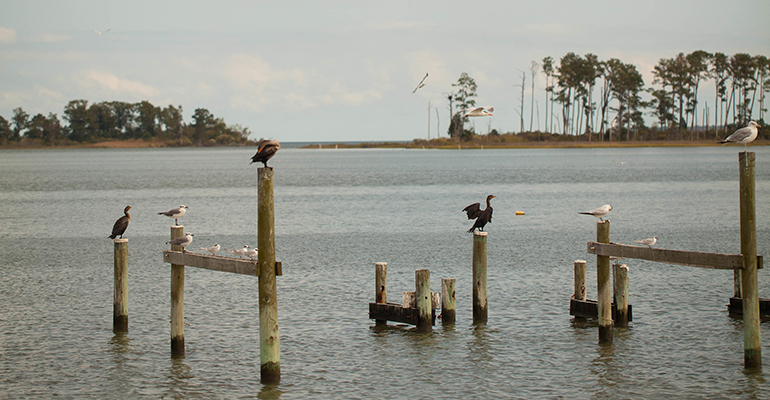 For Ryan Croxton, that first location on Chesapeake Bay is the purest, most stripped-down experience, truly connecting the oyster eater with the water. “Merroir is one in a million. It is not repeatable,” Croxton said. “That’s where the farm is, and chefs would always ask me to come try our oysters. So we opened a tasting room. 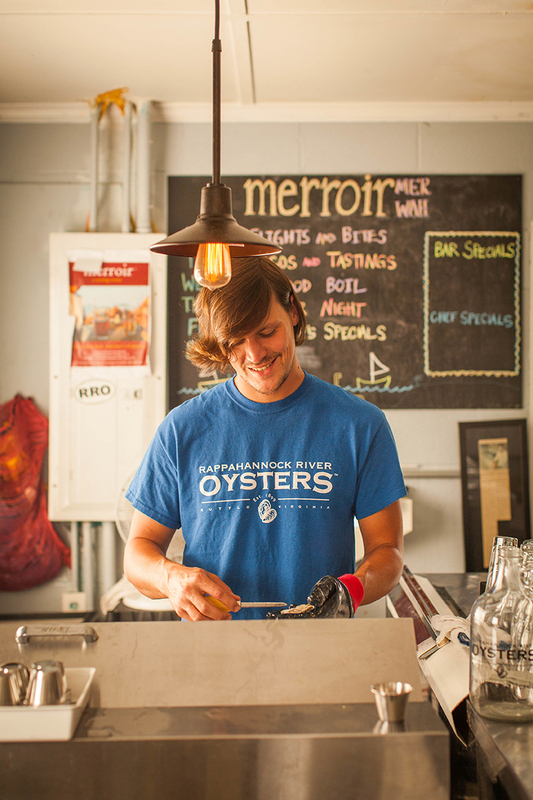 The name Merroir is a play on the word terroir, and in the same way that soil and climate affects the taste of wine, the state of the ocean influences the flavor of oysters. “We ripped off the terminology of wine and the whole business approach, and people really responded to it,” Croxton said. To feed the need for oyster satisfaction, servers must be able to speak with authority on the characteristics and backstory of each oyster on the menu. 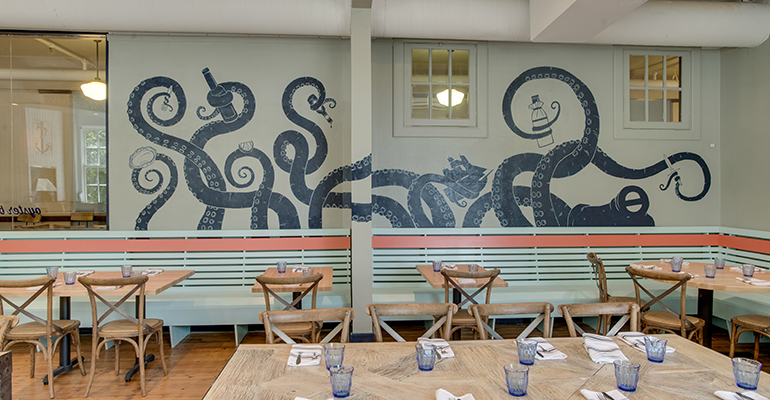 “As a staff, both the back of the house and the front of the house, we all taste the oysters,” said Bobby Palmquist, executive chef at Seattle’s Walrus and the Carpenter seafood restaurant. On a recent day, Hama Hama, Eldon and Harstine oysters from nearby Hood Canal and Peale Passage dominated the menu. “We arrange them on the menu from mild to increasing brininess,” Palmquist said. “And before service starts, at our pre-shift meeting, we discuss any new oysters, both flavor and growth method." Oysters from Murder Point, Ala., for example, are farm-raised near Mobile, and an example of oysters from the Gulf of Mexico. 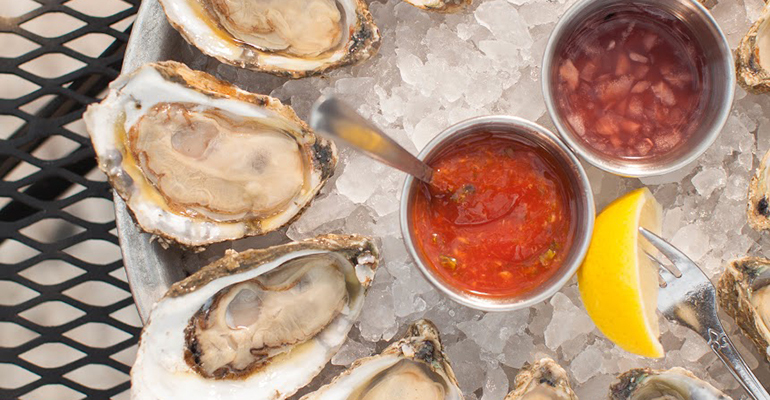 The dangerous-sounding oysters have been praised by chefs around the country. Saltine, an oyster bar in Jackson, Miss., is not far from Murder Point, so the oysters are regulars on the menu there. Staying local is important, said Connor Mize, sous chef at Saltine. But “at the same time we do enjoy varying our source points for our oysters and feature selections from around the world to keep things interesting,” he said. Staff members are encouraged to taste to know the difference. At the Walrus and the Carpenter, “we shuck wearing latex gloves and while holding the oyster, but I am totally open to whatever method works for someone as long as they can keep up and do the job,” said Palmquist. 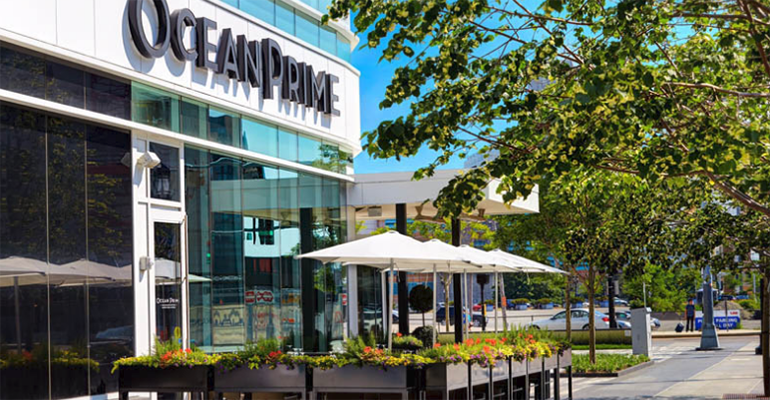 Likewise, at Ocean Prime, the method is the shucker’s choice of what works best to crank up the shells on the seam and disconnect the meat from the shell. Since oysters are living creatures until as close to service as possible, storing them correctly is key. On the line at the Walrus and the Carpenter, oysters are placed in baskets and covered with ice. Downstairs in the walk-in, oysters are stored in plastic totes and covered with a wet towel and ice on top. Proper food-safety protocols cannot be understated. 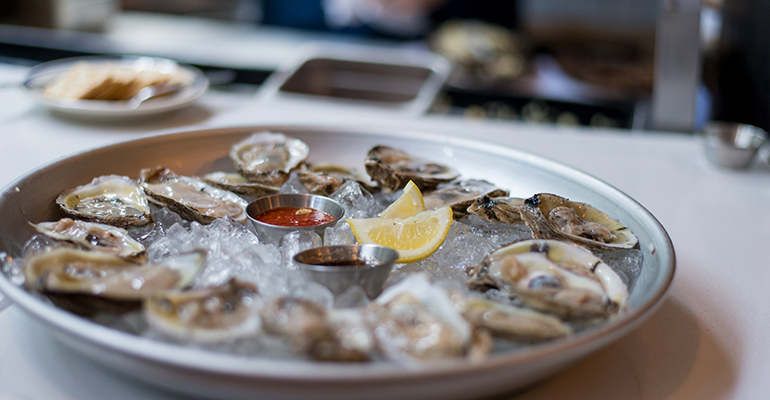 In addition, Palmquist and sous chef Colin Penttenin said they regularly speak with their oyster purveyors, another step to keeping things safe. When Brumels of Ocean Prime first came to Boston to open that location, he made sure to carve out plenty of time to figure out from whom he’d be buying his oysters. He looked at storage, correct temperature and cleanliness at about 14 different purveyors before settling on one that had an impressive facility. One red flag to look for is the cleanliness of the oysters, he said. “Look how clean the oyster is. Some come in so dirty, and that means when they were harvested, they were never scrubbed,” Brumels said. Even though oysters get a second scrub at the restaurant before being shucked, super filthy oysters coming from your purveyor aren’t a good sign. Harvest tags and laws about traceability are powerful tools in keeping oysters safe. Brumels also stresses the job of restaurants to look at the tags on oysters. They’re legally required and will tell you where and when that oyster came out of the water. That’s another reason it’s so important to find a reputable fishmonger: Your customers will notice, he said. Bloody Mary mix granata, frozen and scraped, for a peppery tomato flavor on ice. Lemon, freshly grated horseradish and champagne vinegar mignonette. Smoked bell pepper cocktail sauce.